This afternoon open house of fun, art and entertainment for the whole family grew to be a huge hit in its 2nd year last year! 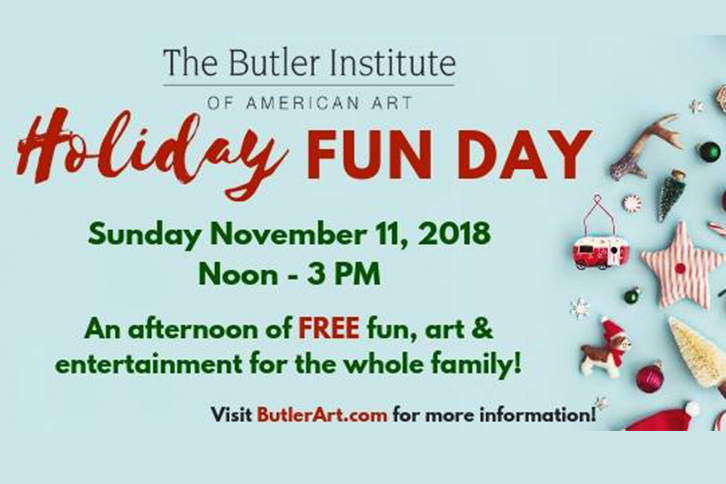 Activities can include: holiday cookie decorating, children’s “Make-and-Take” art activities, face painting, selfies with Santa, Butler docent-led tours, treasure hunt activities and more! Details are forthcoming. Visit ButlerArt.com for updates. Sponsored by STIFEL.